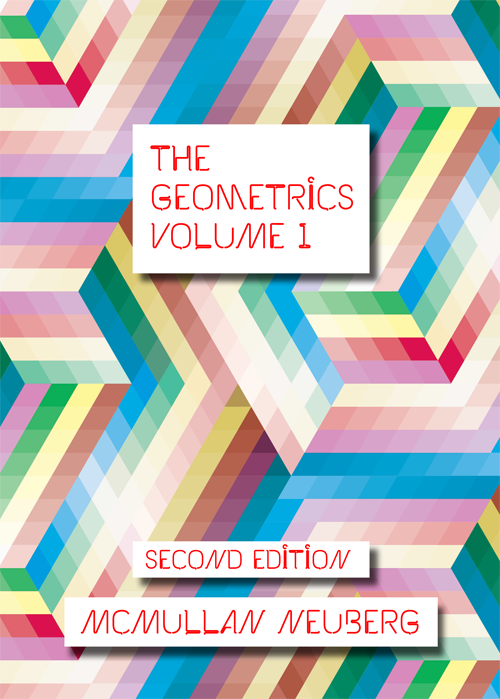 The Geometrics: Volume 1 (Second Edition), downloadable e-book, published by The Slow Textiles Group, London (UK), 2014. Available exclusively from our e-bookstore. Publisher: The Slow Textiles Group, London (UK), 2013. This full-colour, A5 90pp book, published by the Slow Textiles Group (2013, 2014), is fully-illustrated with images from textile designers and artists and texts by Daisy McMullan and Emma Neuberg. 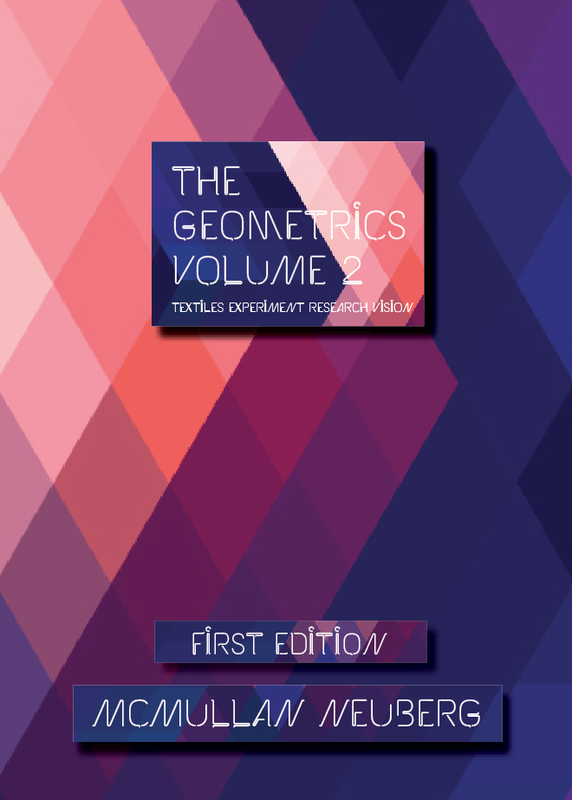 This volume forms the first in The Slow Textiles Group’s future anthology of geometric textiles. The book features 15 artists, each with pages of images and text that describe their practices and inspiration. With contributions from Marie O’Connor, Ele Carpenter, Emma Neuberg, Camille Walala, Melanie Bowles among others, this book is research, practice, inspiration and more. The Geometrics: Volume 2 (First Edition), downloadable e-book, published by The Slow Textiles Group, London (UK), 2014. Publisher: The Slow Textiles Group, London (UK), 2014. This full-colour, A5 120pp book, published by the Slow Textiles Group (July 2014), is fully-illustrated with images from textile designers and artists with texts by Daisy McMullan, Emma Neuberg and contributing artists. This volume forms the second in The Slow Textiles Group’s future anthology of geometric textiles. The book features the work of artists with pages of images and text that describe their practices and inspiration. With details of papers from Katherine May, Marianna Franzosi and Alexandra Gerstein, among others, this book is research, practice, inspiration and more. Each artist specialises in geometric pattern and form and features together for the first time. The anthological format is designed to describe a narrative of geometrics in art and design that goes beyond fashion and tells a timeless design story. The underlying theme of sustainable development for materials practice promotes and makes public the publisher’s longterm research in Timeless Aesthetics in Textiles ®. For more information and resources, please visit Slow Textiles Group.